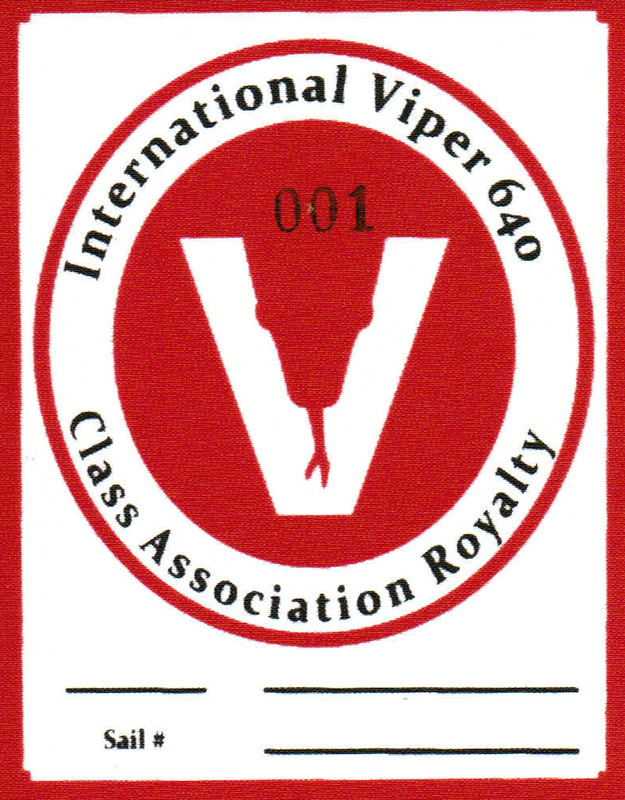 On January 1, 2018, the Viper 640 Class transitioned to a two sticker sail registration system: the traditional Sail Registration sticker (aka sail button – bottom) managing the one suit of sails per year rule, and a separate, new Sail Royalty sticker (top) indicating that the US$50.00 per sail Class Royalty has been paid. Any sailmaker selling a new sail after 1/1/18 date automatically will attach the a new Sail Royalty sticker onto the sail. The owner will be billed the US$50.00 Sail Royalty fee as part of the sail purchase. The sailmaker will remit that payment to the class. If you have purchased and received a “2018 sail” that does not display a Sail Royalty, you will not have been charged by the sailmaker but you still are responsible for paying this fee prior to using the sail in any Viper 640 regatta. You can pay that fee online requesting both stickers using the second PayPal menu below. 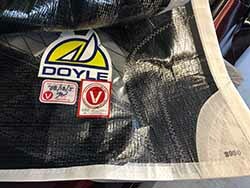 To ensure owners comply with the one suit of sails per year Class Rule (#7.8.1 Sail Purchase), the Class will continue to distribute the current Sail Registration stickers matching sail to boat and specifying first year of use. These Sail Registration stickers will be required for any sail being used in any Viper 640 regatta. However, these now will be provided to owners AT NO CHARGE. To order Sail Registration stickers for any 2018 or newer sail, complete the form below. If you require Sail Registration stickers sent on a rush basis, when completing the Sail Registration form below indicate that you want Rush Shipping at a cost of US$10.00 to cover Express Mail. If you do request rush shipping, it is strongly suggested that you contact Class Administrator Buttons Padin directly via email or phone (+01 914-834-8286) to confirm you are requesting Rush Shipping. If Buttons can’t be reached to acknowledge Rush Shipping request, contact any member of the Technical Committee. Here is an example of properly installed sail stickers. Please note they are in the proper locations on the STARBOARD side of the sail’s tack. Sail Registration sticker to left of Sail Royalty Patch that should have been applied by the sailmaker. Please complete all fields below, as well as confirm correct contact information (even if no charge is being applied) at the PayPal checkout. Your order cannot be processed without all information. He will endeavor to ship them to you within 24 hours of receiving your weekday message. If you have a problem, call Buttons directly at 914-439-8286. …purchased without paying $50.00 Sail Royalty. If you have 2017 or earlier sails to register for the first time, you will be charged $50.00 per sail and sent the traditional Sail Registration sticker. That’s all you’ll need for pre-2018 sails. If you have a 2018 sail with no Sail Royalty Sticker, complete the form below. You will be charged the $50.00 per sail royalty fee and will be sent BOTH Sail Royalty and Sail Registration stickers.